CodeHub is a place to code, share, and learn from one another. It aims to support anyone with an interest in programming and web development in advancing their skills and knowledge. Whether you are an experienced developer or just learning to code, interested in design or programming, you are more than welcome. 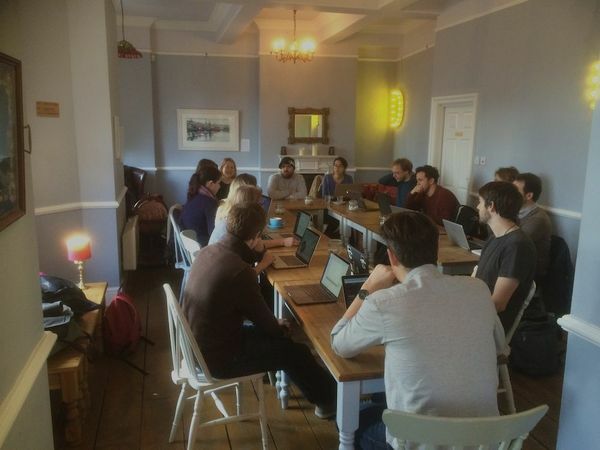 CodeHub is also the Bristol chapter of OpenTechSchool - a great organisation that champions hands-on, peer-driven learning. What is happening at CodeHub? We run events (Hack Nights, Dojos, workshops), organise mentorships and facilitate study groups. Check out our activities page. We also have a Slack group where we exchange interesting links and news, and where you can find help when you are stuck with a programming problem. We rely on the support of sponsors - without them we would not be able to offer learning and support. We are extremely grateful for their investment - it helps to to create a thriving, diverse and welcoming tech community in Bristol. Please see our sponsoring page for more information. Email us on info@codehub.org.uk, or tweet to @CodeHubBs. Join our Meetup group.